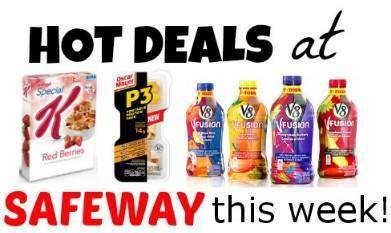 Home / Deals / In Store Deals / Great Deals on Juice, Cereal and More at Safeway! Have you seen the new Safeway Weekly Ad? There are some great deals happening this week. I have pulled out a few of my favorites below in case you missed them! You can find some great deals this week on cereal, juice and other household staples! There will be a $5.00 Friday special on “Seattles Best” coffee, and I found 2, $2.00 coupons by googling “coupons on Seattle’s Best coffee…..So I’ll be able to get 2 bags for $3.00 each! That’s really good for Alaska! FREE Ronzoni Pasta and More Great Deals at Winn Dixie!